Chad Oliver’s initial research focused on the basic understanding of how forests develop and how silviculture can be applied to ecological systems most effectively. 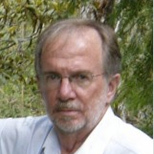 Much of this work is incorporated in a book he wrote entitled Forest Stand Dynamics (1990, and update edition in 1996) with a former student as coauthor. He has continued this work; during the past decade he has also examined how this understanding can help resolve scientific, technical and management issues at the landscape and policy levels. He is currently working on landscape approaches to forest management and is involved in the technical tools, the policies, the management approaches and the educational needs. He is also writing a book on global resources, which puts forestry and other resources into perspective.